ISLAMABAD: In the aftermath of the events of 9/11, India succeeded in convincing the global community that the struggle for freedom in Kashmir was terrorism, former ambassador to India Abdul Basit said while speaking at a seminar on Monday, adding that Pakistan should abandon its apologetic stance and move towards active diplomacy to revive the Kashmir issue at international forums. The former ambassador was addressing journalists at the seminar titled “Indian Designs to Change Demography of Kashmir — Violation of UN Resolutions and International Law”, organised by the All Parties Hurriyet Conference (APHC) and the Kashmir Institute of International Relations (KIIR). 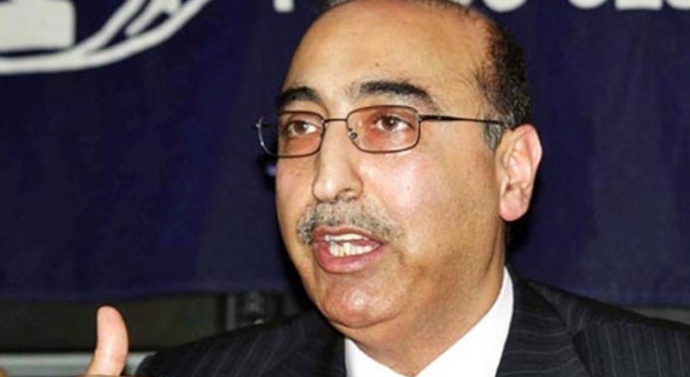 Mr Basit said that even though India wanted to start dialogue with Pakistan, it was not ready to speak about Kashmir. On the other hand, he added, Pakistan believed that Kashmir remained a major bone of contention between the two countries as several wars had been fought over it so far. “We need to make a productive policy as the people of Kashmir are not ready to accept the Indian control. We don’t have to start backdoor diplomacy as it will not be productive,” he said. In reply to a question about Pakistan-United States relations, Mr Basit said it was a fact that relations between the two countries were marked by contradictions. He said the US wanted Afghanistan to remain in turmoil, which was a challenge for Pakistan. “On the other hand, peace in Pakistan is linked directly to peace in Afghanistan. We need to convince the US media and their think tanks that there is no divergence in interests of Pakistan and the US,” he said. He suggested that Pakistan should focus on border management along with reconciliation. Addressing the participants of the seminar, Jamaat-i-Islami chief Siraj ul Haq said India wanted to effect demographic change in India-held Kashmir (IHK), which was why Kashmiris should consider abandoning family-planning methods. “It is unfortunate that not a single international human rights organisation has been allowed to go to IHK. However, I am sure that the Kashmiris will never stop their legitimate struggle,” he said. AJK President Masood Khan said several children had been killed and buildings demolished to bring about demographic changes to show that the Muslims were a minority in Kashmir. “After killing Burhan Wani, India has been trying to give Kashmiris the message that they should negotiate, otherwise the special status of Kashmir would be withdrawn,” he said, suggesting that the issue be taken up at international forums. AJK’s former president Sardar Muhammad Yaqoob said that India was worried because all Muslims and Hindus in IHK wanted freedom. Legal expert Ahmer Bilal Soofi said that India had adopted the strategy to change a number of laws, such as title of land holding, because currently only Kashmiris could purchase land in IHK. “India has made a legal team which has been helping it to change the laws. Pakistan should also establish a legal team to tackle such attempts and deal with it as a case. The Quaid-i-Azam picked Sir Zafarullah Khan, who was a lawyer, to deal with the issue of Kashmir and that is why the case was progressing at that time. Moreover, there is a need to allocate funds for dealing with the issue,” he said.